“Everyone in school either has a prescription or has a friend who does,” the boy said. While these medicines tend to calm people with A.D.H.D., those without the disorder find that just one pill can jolt them with the energy and focus to push through all-night homework binges and stay awake during exams afterward. “It’s like it does your work for you,” said William, a recent graduate of the Birch Wathen Lenox School on the Upper East Side of Manhattan. “Once you break the seal on using pills, or any of that stuff, it’s not scary anymore — especially when you’re getting A’s,” said the boy who snorted Adderall in the parking lot. He spoke from the couch of his drug counselor, detailing how he later became addicted to the painkiller Percocet and eventually heroin. The number of prescriptions for A.D.H.D. medications dispensed for young people ages 10 to 19 has risen 26 percent since 2007, to almost 21 million yearly, according to IMS Health, a health care information company — a number that experts estimate corresponds to more than two million individuals. But there is no reliable research on how many high school students take stimulants as a study aid. Doctors and teenagers from more than 15 schools across the nation with high academic standards estimated that the portion of students who do so ranges from 15 percent to 40 percent. The trend was driven home last month to Nan Radulovic, a social worker in Santa Monica, Calif. Within a few days, she said, an 11th grader, a ninth grader and an eighth grader asked for prescriptions for Adderall solely for better grades. From one girl, she recalled, it was not quite a request. Madeleine surveyed her schedule of five Advanced Placement classes, field hockey and several other extracurricular activities and knew she could not handle it all. The first physics test of the year — inclines, friction, drag — loomed ominously over her college prospects. A star senior at her Roman Catholic school in Bethesda, Md., Madeleine knew a friend whose grades had gone from B’s to A’s after being prescribed Ritalin, so she asked her for a pill. She got a 95. Thereafter, Madeleine recalled, she got Adderall and Vyvanse capsules the rest of the year from various classmates — not in exchange for money, she said, but for tutoring them in calculus or proofreading their English papers. “Can I get a drink of water?” Madeleine said she would ask the teacher in one class, before excusing herself and heading to the water fountain. Making sure no one was watching, she would remove a 40-milligram Vyvanse capsule from her purse and swallow it. After 30 minutes, the buzz began, she said: laser focus, instant recall and the fortitude to crush any test in her path. Madeleine estimated that one-third of her classmates at her small school, most of whom she knew well, used stimulants without a prescription to boost their scholastic performance. Many students across the United States made similar estimates for their schools, all of them emphasizing that the drugs were used not to get high, but mostly by conscientious students to work harder and meet ever-rising academic expectations. These estimates can be neither confirmed nor refuted because little data captures this specific type of drug misuse. A respected annual survey financed by the National Institute on Drug Abuse, “Monitoring the Future,” reports that abuse of prescription amphetamines by 10th and 12th graders nationally has actually dipped from the 1990s and is remaining relatively steady at about 10 percent. However, some experts note that the survey does not focus on the demographic where they believe such abuse is rising steadily — students at high-pressure high schools — and also that many teenagers barely know that what they often call “study drugs” are in fact illegal amphetamines. “Isn’t it just like a vitamin?” asked one high school junior from Eastchester, a suburb of New York. Liz Jorgensen, a licensed addiction specialist who runs Insight Counseling in Ridgefield, Conn., said her small center had treated “at least 50 or 60” high school students from southern Connecticut this school year alone who had abused prescription stimulants for academics. Ms. Jorgensen said some of those teenagers landed in rehab directly from the stimulants or, more often, grew comfortable with prescription drugs in general and began abusing prescription painkillers like OxyContin. A spokesman for Shire, which manufactures Vyvanse and Adderall’s extended-release capsules, said studies had shown no link between prescribed use of those drugs and later abuse. Every school identified in this article was contacted regarding statements by its students and stimulant abuse in general. Those that responded generally said that they were concerned about some teenagers turning to these drugs, but that their numbers were far smaller than the students said. David Weiss, superintendent of Long Beach Public Schools, said the survey his district used to gauge student drug use asked about only prescription medications in general, not stimulants specifically. Douglas Young, a spokesman for the Lower Merion School District outside Philadelphia, said prescription stimulant abuse was covered in various student-wellness initiatives as well as in the 10th-grade health curriculum. Mr. Young expressed frustration that many parents seemed oblivious to the problem. During an interview in March, the dealer at Lower Merion High reached into his pocket and pulled out the container for his daily stash of the prescription stimulants Concerta and Focalin: a hollowed-out bullet. Unlike his other products — marijuanaand heroin, which come from higher-level dealers — his amphetamines came from a more trusted, and trusting, source, he said. Christine, a junior sitting nearby, said she followed the well-known lines to get her drugs directly and legally, a script for scripts. “I’m not able to focus on schoolwork,” she said in a mockingly anxious voice. “I’m constantly looking out the window.” Although she often uses the drugs herself, snorting them for a faster and more intense effect, she said she preferred to save them for when her customers crave them most. “Right before everybody took the PSATs, a bunch of kids went to the bathroom to snort their Addies,” she said. This is one of the more vexing problems with stimulants in high schools, experts said — the drugs enter the schools via students who get them legally, if not legitimately. Older A.D.H.D. drugs required low doses every few hours, and schools, not wanting students to carry the drugs themselves, had the school nurse hold and dispense the pills. Newer long-lasting versions like Adderall XR and Vyvanse allow parents to give children a single dose in the morning, often unaware that the pills can go down a pants pocket as easily as the throat. Some students said they took their pills only during the week and gave their weekend pills to friends. The mother of one high school freshman in Westchester County said she would open the kitchen cabinet every morning and watch her son take his prescribed dose of Ritalin. She noticed one day that the capsule was strangely airy and held it up to the light. It was empty. A number of teenagers interviewed laughed at the ease with which they got some doctors to write prescriptions for A.D.H.D. The disorder’s definition requires inattentiveness, hyperactivity or impulse control to present “clinically significant impairment” in at least two settings (school and home, for example), according to the Centers for Disease Control and Prevention. Crucially, some of this impairment must have been in evidence by age 7; a proper diagnosis for a teenager claiming to have A.D.H.D., several doctors said, requires interviewing parents, teachers and others to confirm that the problems existed long before. “To get a prescription for Adderall was the Golden Ticket — it really was,” said William, the recent graduate of Birch Wathen in Manhattan. As with the steroids taken by athletes, the downside of prescription stimulants appears after they provide the desired short-term competitive benefits. This was the case with a recent graduate of McLean High School in Virginia, one of the top public schools in the Washington area. Late in his sophomore year, the boy wanted some help to raise his B average — far from what top colleges expected, especially from a McLean student. So he told his psychologist what she needed to hear for a diagnosis of A.D.H.D. — even gazing out the window during the appointment for effect — and was soon getting 30 pills of Adderall every month, 10 milligrams each. They worked. He focused late into the night studying, concentrated better during exams and got an A-minus average for his junior year. “I wanted to do everything I could to get into the quote-unquote right school,” he recalled recently. As senior year began, when another round of SATs and one last set of good grades could put him over the top, the boy said he still had trouble concentrating. The doctor prescribed 30 milligrams a day. When college applications hit, he bought extra pills for $5 apiece from a girl in French class who had fooled her psychiatrist, too, and began taking several on some days. The Sklar family lives near the top of a daunting hill in Ardsley, a comfortable suburb north of New York City. Ardsley High School sends dozens of graduates every year to Ivy League-caliber colleges. When students there use Facebook, they all know that its founder, Mark Zuckerberg, once walked the same halls. At their kitchen table after school last month, Dodi Sklar listened as her ninth-grade son, Jonathan, described how some classmates already abused stimulants — long before SATs and college applications. An accomplished student who said he would never join them, Jonathan described the ease with which he could. Asked if the improper use of stimulants was cheating, students were split. 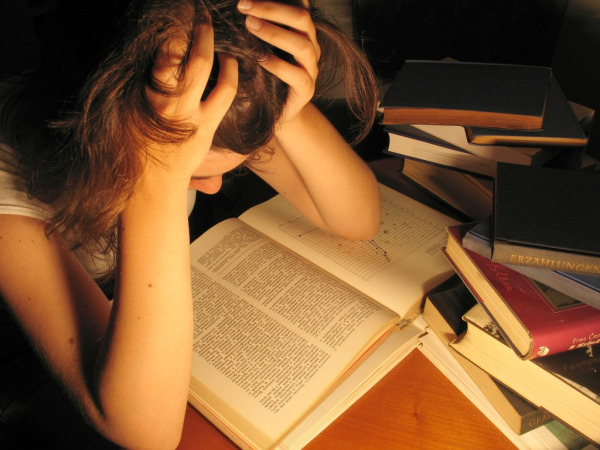 Some considered that the extra studying hours and the heightened focus during exams amounted to an unfair advantage. Many countered that the drugs “don’t give you the answers” and defended their use as a personal choice for test preparation, akin to tutoring. One consensus was clear: users were becoming more common, they said, and some students who would rather not take the drugs would be compelled to join them because of the competition over class rank and colleges’ interest. A current law student in Manhattan, who said he dealt Adderall regularly while at his high school in Sarasota, Fla., said that insecurity was a main part of his sales pitch: that those students “would feel at a huge disadvantage,” he said. William, the recent Birch Wathen graduate, said prescription stimulants became a point of contention when a girl with otherwise middling grades suddenly improved her SAT score. One sophomore at Harvard-Westlake School in Studio City, Calif., is unsure what his future holds. Enrolled at one of the top high schools on the West Coast, he said he tried a friend’s Adderall this semester but disliked the sensation of his heart beating rapidly for hours. He vowed never to do it again. But as he watches upperclassmen regularly abuse stimulants as they compete for top college slots, he is not quite sure.